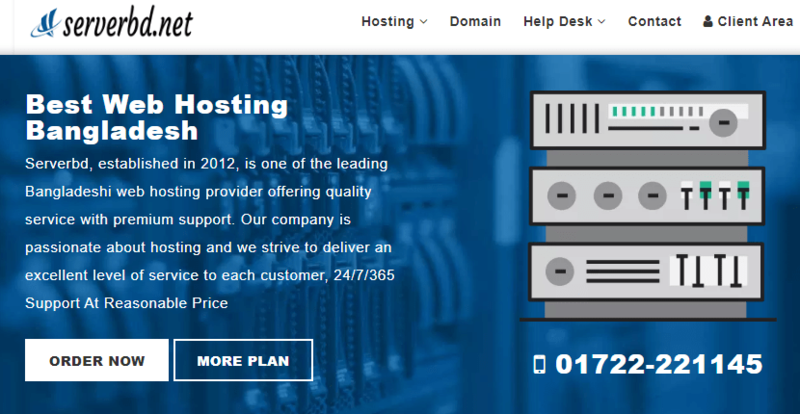 Serverbd Review 2019: Is Serverbd a Good Hosting? Established in 2012, Serverbd is a Bangladeshi hosting company providing high-quality shared hosting, VPS, cloud, and domain registration services. The web hosting company takes pride in providing premium support to all clients. Under shared hosting, you will find five hosting plans with incremental storage and bandwidth. Signing up with them, you get access to your admin section through cPanel, which allows you to manage the different areas of your hosting account. You can easily set up email accounts, add subdomains, access your databases, etc., all from your browser. On top of that, you are guaranteed top speeds because of the SSDs used on their servers as well as the LightSpeed web server. Another area that they really excel is security. You cannot underscore the importance of having your website pages and data safe. They perform a daily three-step backup of your data from three different locations. This guarantees protection against data loss. And if you accidentally delete your data, you can easily restore it through your cPanel R1soft tool. The servers themselves are also secured using the Cloud LinuxOS. The Softaculous auto installer, with over 100 open source apps, is also included. Using the installer, you can set up a database drive CMS website on Joomla or WordPress, or create a forum using the phpBB. You don’t need any coding experience or knowledge. Although their prices are in Bangladeshi Taka (BDT), once you convert them, you will realize how reasonably priced their packages are. You can order and pay for a hosting plan using Skrill, PayPal, BKcash, or local bank deposit. I can’t say much about the customer service other than they offer two support channels. You can either make a call or open and submit a ticket. If you’d rather they call you, you can also make a request and they will get back to you later on. From the reviews I have seen online, the customer support comes across as friendly and helpful. However, that being said, I would like to see at least an email option also available. Serverbd is a great option for anyone looking for low-cost and stable hosting packages with a simple and user-friendly interface in addition fast and dedicated customer support. Wondering how Serverbd stacks up against other Web Hosting companies? Enter any other Web Hosting company and we will give you a side-by-side comparison.